As tomorrow (22nd April) is Earth Day, we thought it would be fun to think up some ways you can celebrate this eco-friendly day with Community RePaint in mind! You can use old paint tins (washed out of course!) as plant pots. Planting trees and plants improves soil, helps clean pollutants in the air, reduces greenhouse gases, improves biodiversity as it provides habitats for animals and birds and prevents erosion. You can use some small amounts of paint, available from our schemes to make a new bird house. Remember, the paint that you are using has been saved from going to waste. Take any paint that you have lurking in a cupboard or shed to your nearest donation point. Just check the Paint to donate page on our website to find out where you can take it. There will be lots of people and community groups that will want to use your old paint for their own projects. Maybe you have a painting project that you can get the kids to help with? They might want to redecorate something in their bedroom. You can pick up lots of different coloured paints from our schemes. You can explain to the children that the paint you are using will now be used to brighten up their environment instead of entering the natural environment through waste. Many of our schemes are involved in environmental activities. You can visit some of the schemes an find out what they do to help the environment. Just check if there is one near you by looking on our Do You Need Paint? page. You could get your local community group involved in painting a mural to celebrate Earth Day. 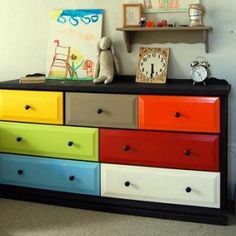 You could use paint from your local Community RePaint scheme to do this. 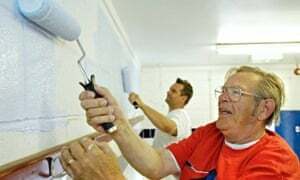 You will save paint from going to landfill, raise environmental awareness and will be engaging with you local community – what could be better?